Body Promise are the Sydney based duo made up of Doug Wright and Amelia Jenner. Together they DJ, host a weekly radio show on one of Australia’s most loved radio stations, FBi Radio, and manage a small label that consistently releases some of the best music we’ve ever heard. DIN is the collaboration of Rainbow Chan (who also makes experimental electronic music as Chunyin) and Alex Ward (fka Moon Holiday). Loosely thought of as 'dance music', DIN was born out of a weariness of having to represent oneself as 'the face' of a musical endeavour. The two released their debut self-titled EP on Moontown Records in May 2018 and went on to support Yaeji at the Sydney Opera House and Discwoman’s Ciel at Cool Room in Melbourne. It’s in the live arena where these two best friends really shine, their energy and care for each other is infectious. DJ Scorpion is the solo project of Amelia Jenner, Music Director of FBi Radio, label boss and radio host of cult Australian electronic label Body Promise and co-founder of the NECTAR agency. Not content with sticking with any one genre, DJ Scorpion’s sets span anything from dub and dancehall to kuduro, bass, dubstep, jungle, breaks, electro, trippy house and techno. Fabrics is the alias of Sydney underground mainstay Alex Psaltis. His music is a melding of propulsive electronics with expansive and affected spectral textures. Using a combination of analogue and digital synthesis, his productions and live sets traverse a wide range of moods and styles, which was highlighted perfectly on his debut EP InnerTerror released earlier this year through AfterHour Recordings. No stranger to the local live circuit, Fabrics has supported such forward thinking artists as Rival Consoles, Blanck Mass, Avalon Emerson, Voiski and μ-Ziq and Rings Around Saturn. His debut festival appearance was in 2018 at the esteemed Sydney experimental festival Soft Centre. HED Ardennes is the club-focussed project of Doug Wright (Fishing, Body Promise). His tracks hone in on the grittier, percussive end of techno, drawing influence from electro, jungle and broken beat – chances are you've heard them hidden throughout sets across Sydney. Having debuted his live show at NECTAR:REBORN, he’s gone on to support Djrum and has his debut EP set for release this year, hold tight! IV Drip is a Sydney based DJ who won't be limited by genre bounds, but holds a high affiliation for glitchy electro and breaks. She’s a regular fixture in the Sydney rave scene having played local support for Delta Funktionen, Madam X and Pangea. Now a graduate headliner she has played interstate for Outhouse (Melbourne) and Pickle (Canberra) and has had recent mixes featured on NTS and Skylab. Lou Karsh is Melbourne based producer and live act who expands upon the classic sounds of acid, electro and techno. While maintaining a consistent and recognisable sound, Lou Karsh’s versatility delivers for all occasions whether it be his introspective and emotional home listening material, functional club music or a blend of both. During the three years since his debut live set Karsh has managed three separate UK/EU tours, including appearances in the Säule room at Berghain and at ://aboutblank’s Warning Rave. On home soil he has played multiple Sydney shows for Pure Space, and is a regular at Lounge in his hometown. Karsh's biggest release yet lands soon on highly sought after UK label Furthur Electronix where he will soon release a solo double 12”. Previous to this his sold out EP ‘Ataraxia' on X-Kalay was named as I Love Acid’s number 1 best Acid release of 2018. On his own label LKR Records Karsh has also released two sold out solo releases, together with some music from friends and other unknown artists the label is now on it’s fifth release with no sign of slowing down. Makeda oscillates between aural, physical and curatorial practice, including music, installation / performance art, radio and design. Sketching a svelte aural palette, she has performed locally and internationally at festivals and clubs including Dark Mofo, Cool Room, Soft Centre, the Cité Internationale des Arts, and Bossa Nova Civic. As a DJ, Makeda started out on Brisbane’s iconic 4ZZZ community station, and has since become a Melbourne club staple (spinning and being spun) on stations including Hope St Radio, Triple J and The Lot NYC and Red Light Radio. In early 2019, Makeda’s forthcoming debut EP ‘Lifetrap’ will be released via Melbourne based label Nice Music (Fia Fiell, Various Asses). From the dusty crates of Sydney’s record stores comes Merph, a genuinely passionate and sound record selector. Specialising in a unique blende of crazy-hazy-deep-jazzy house music, Merph plays regularly on the local club circuit and is a go to for the tough task of dancefloor warming. Now a go-to for warming a dance floor in Sydney Merph has played recent support shows for Motor City Drum Ensemble, Harvey Sutherland, Bicep and George Fitzgerald - as well as opening the courtyard for CC:Disco at Summer Dance. Nat James’ obsession with collecting records leans toward the left-field and experimental. Recent supports include Simo Cell and Moopie, as well as mixes for Apsis & Steeplejack that have only left us wanting more. ptwiggs aka Phoebe Twigg is a producer, Audio Engineer and DJ based out of Sydney, Australia. She explores extreme cathartic emotional states through her expansive and challenging productions, blending & bending elements of ambient, experimental-electronica & hardstyle. Working with software, vocals and extended recording techniques, Ptwiggs destroys ‘genre’ boundaries through her brutal, yet similarly delicate use of sounds. 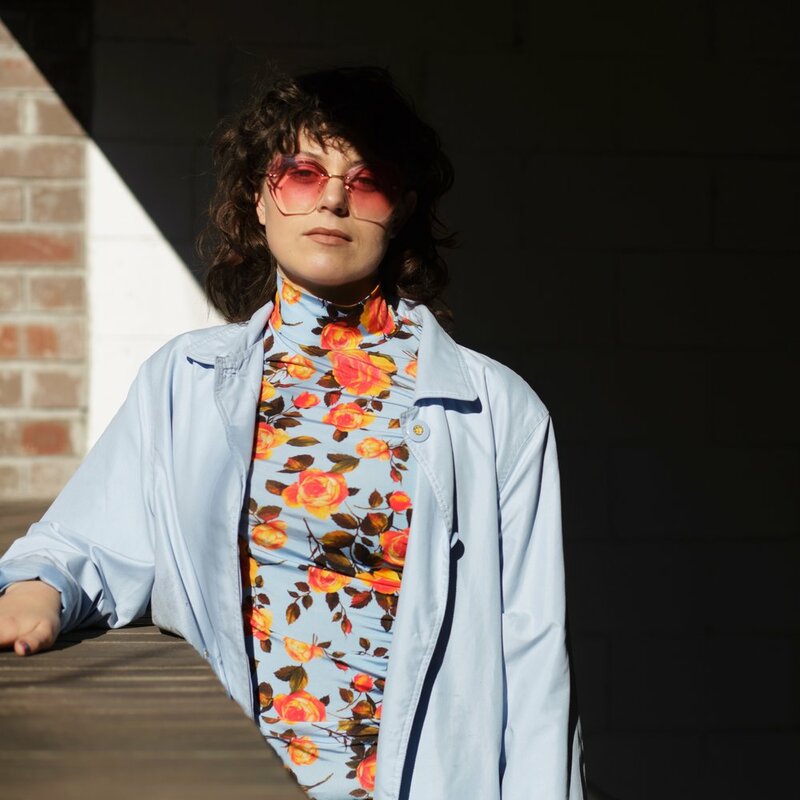 Through her growing portfolio of releases and tours, Ptwiggs proves to be cementing her place both locally and internationally in the experimental music scene. Recent appearances include 2018 Unsound Adelaide, ‘all night long’ extended set at Pavlova Bar in Sydney, Soft Centre Festival 2017 as well as tours through Asia and Russia. Reptant the Lizard is an alias of Lou Karsh in which the music is believed to be made by a playful, not so evil, evil lizard that lives in the sewers below the city streets of Melbourne. The confinements of production are a conceptual and contemporary take on dance music with a nod to it's originators. Since the first release on London’s Tomahawk Records where the idea was born, Reptant has put sold out records on both Melbourne’s Salt Mines and more recently D Tiffany’s Planet Euphorique in Canada.